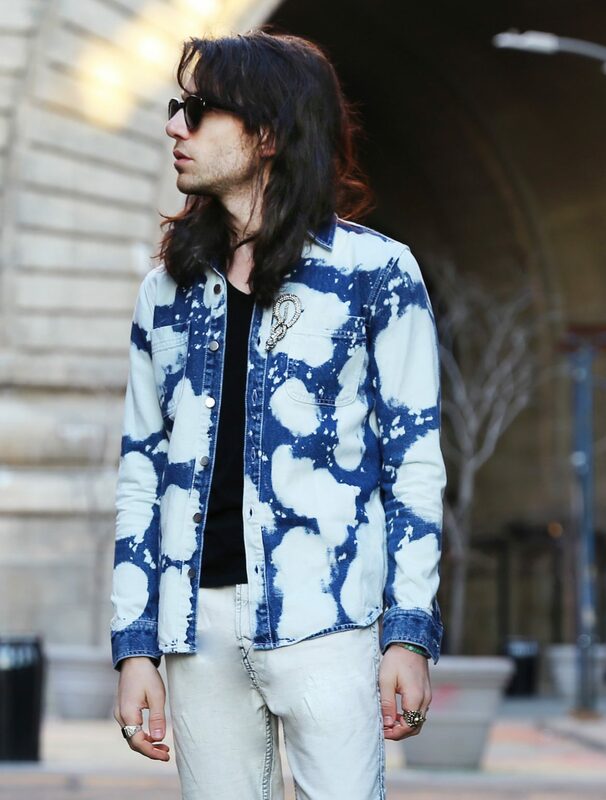 Need ideas around how to wear bleached denim? Remember that time editors reported that denim was dead? Well I’m here today to tell you they were WAY wrong. Next time you’re in a public place, count the number of people wearing denim on denim. I bet you will find at least 5 within eye distance from you. Jeans started as the garment of America’s West; the practical trousers of cowboys and miners; the daring statement of holidaying east coasters down on the ranch. Then they became cool. Two words, James Dean. Then disco-goers wore them flared in the 60s and 70s. 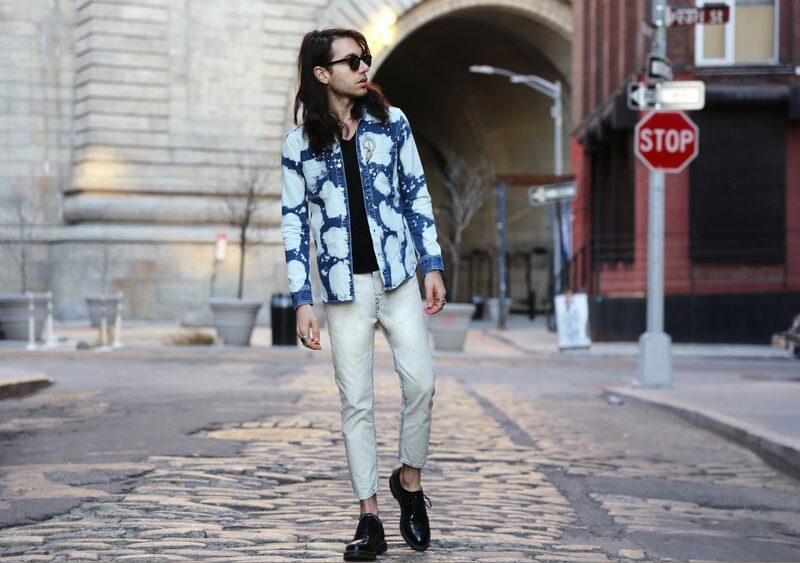 Now with spring hopefully arriving soon, bleached denim is the way to go. 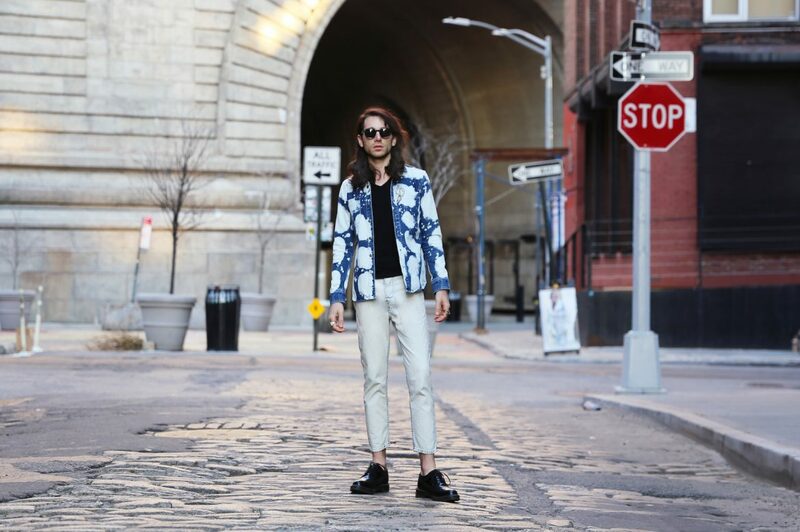 Spring’s freshest denim is all washed-out. The bleached jean revival is in full effect, and labels across the board are turning out jeans and shirts in sun-soaked blue hues. Here is one of my favorite ways to wear the look. 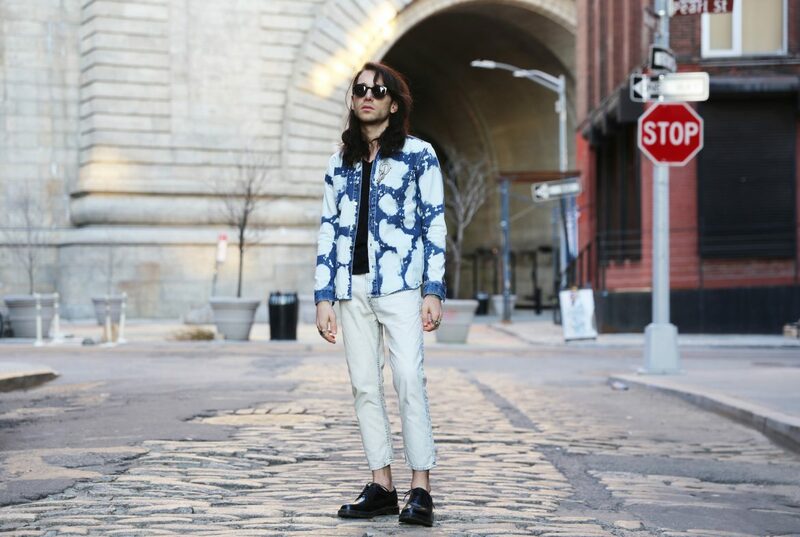 Take a spotted bleached denim shirt and pair it with completely washed out jeans. 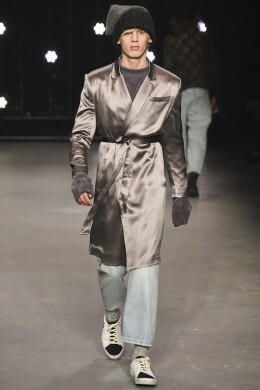 It’s a bold look that also nods so perfectly to the 80s revival trend emerging. Bleached denim punk-inspired jeans are the eye-catching staple you need in your closet if you want a pair of heavily distressed denim to match your heavily distressed mood. Because there’s more to life then silk trousers and camisoles. 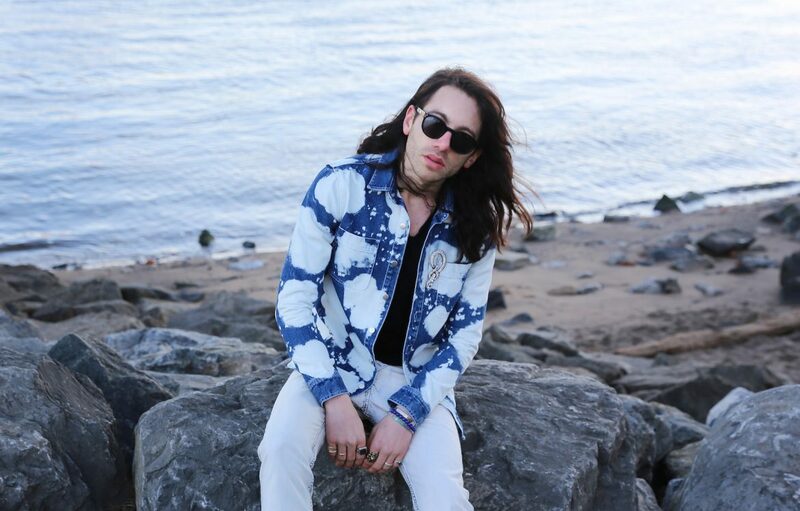 Can a NY boy achieve Cali-flavored alt-cool?